BY TOM D'ANTONI // Kate Power and Steve Einhorn have been gone from Oregon for four and a half years. 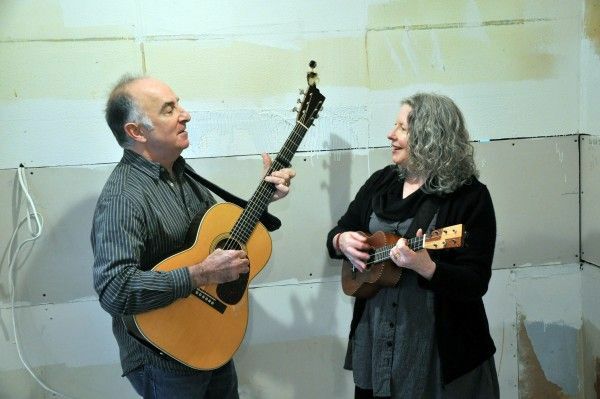 For decades they were the owners of Artichoke Music, a store and teaching center, but more importantly, the hub of stringed instruments and song in Portland. It was a welcoming place to visit. There was always someone playing an instrument, many times one or both of the proprietors who had a thriving career as a performing/recording duo. They gave up the store in 2006. In 2010, OMN’s Mark Neiman-Ross interviewed them about it. “We don’t miss the store,” says Einhorn. (Kate immediately contradicts with a resounding “YES we miss the store.”) Einhorn continues, “We miss the people. But they are coming to our shows, and we see them on the road. We’re happy the store is in caring hands. See them at Winterfolk27, featuring Bryan Bowers, Saturday, January 31 at the Aladdin Theater, $30 advance, $32 door, tickets. As always it is a benefit for Sisters of the Road.